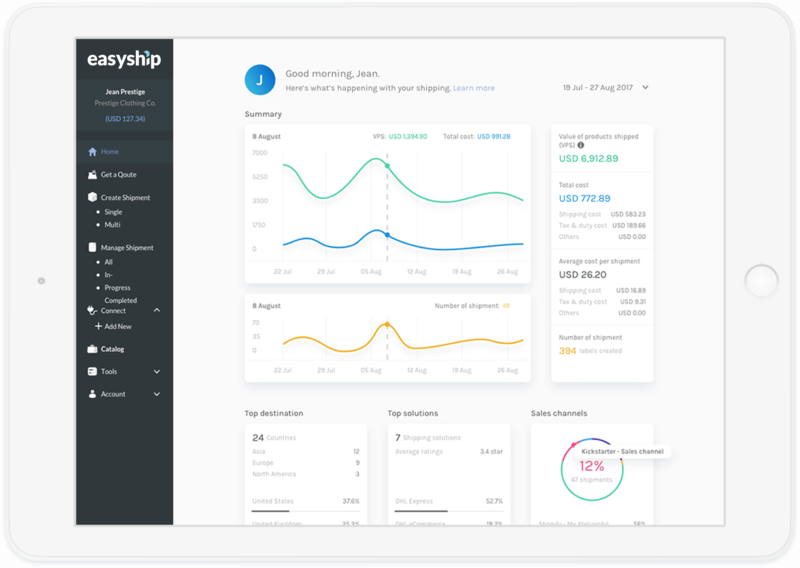 ... but at Easyship, these features put us a step above the rest. 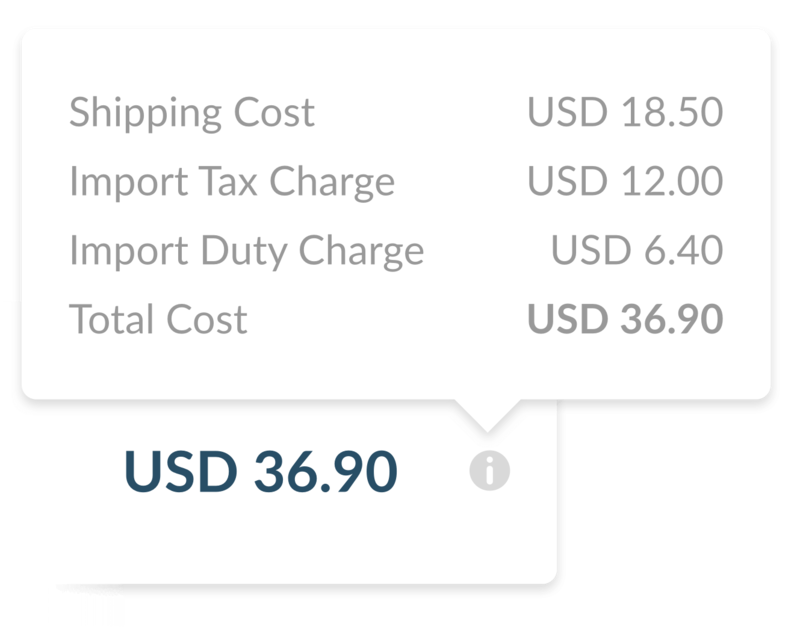 Compare shipping rates instantly, generate all required documents, schedule courier pickups with one click, and track all your shipments. Easyship is for everyone, whether you're just starting out or at the top of your game. You don't need to maintain a minimum number of shipments to access our platform or get discounted rates. We have integrations with every major online platform. Update tracking information to your store and sync all your orders in one click! There's strength in numbers - don't rely on one courier for worldwide coverage. We maintain the largest courier network so you can access the best rates and options. Our automatically generated paperwork ensures you have proper documentation for every shipment and makes clearing customs a breeze. 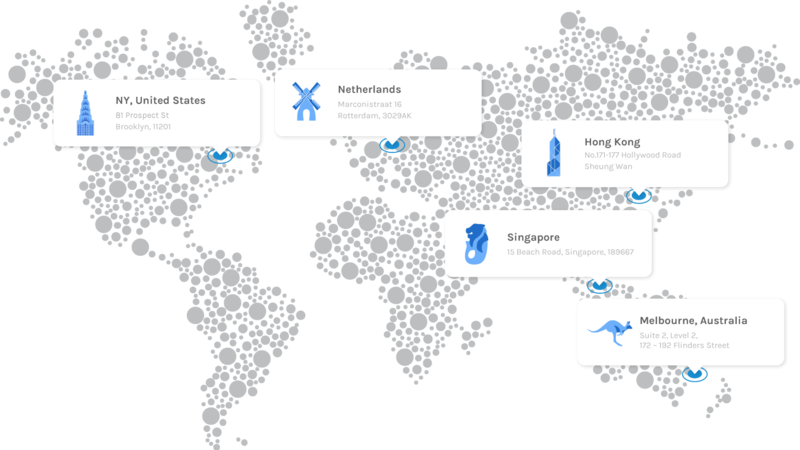 Seamlessly ship to popular destinations such as China, the US, the UK, and the rest of the world. Our experts are ready to advise you on the best solution for your needs. Contact us to get a quote or for more information. Got an issue with your shipment? You can use our Support Center at any time to get the answers you need. Our algorithm determines the best solution for you based on weight, customs value, and destination. Prefer a particular service? Program Easyship to show these solutions instead! We calculate taxes & duties based on your declared customs value so you'll know of all costs upfront. Offering flat and static rates at checkout decreases customer conversion. 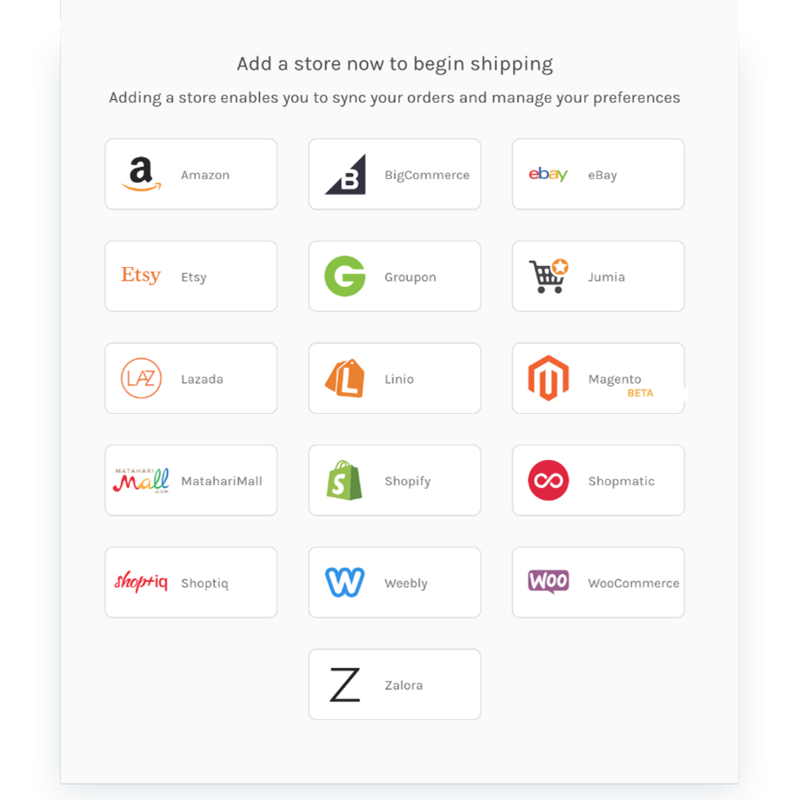 Provide flexible shipping options and the best rates with our free plugin. Not on one of the major platforms? Not a problem! We take warehousing seriously with locations in the US, Hong Kong, Singapore, Australia and Europe. Are you a high volume shipper or have a successful crowdfunding campaign to fulfill? You are eligible for additional discounts! Talk to us. We've done our due diligence on all of our warehousing partners to ensure they offer a simple pricing structure. Rest assured, you'll pay a fair price. 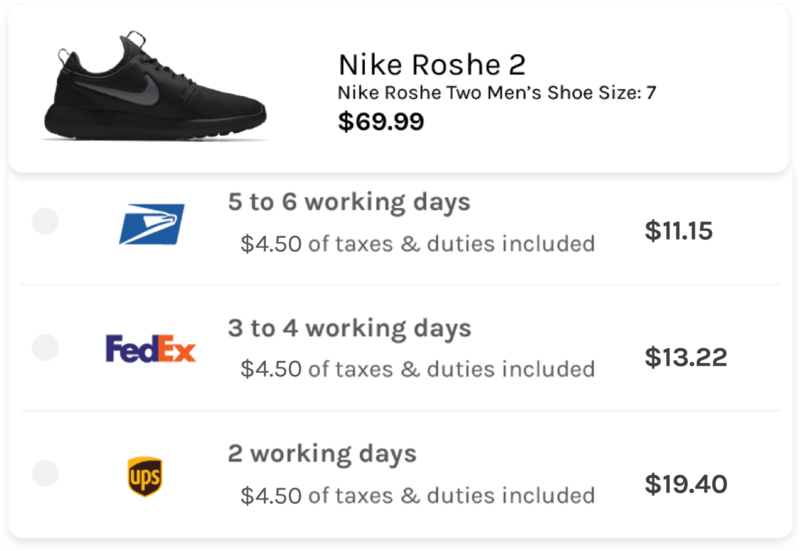 Dynamic pricing allows you to choose shipping methods based on what is suitable for your store and your customers. In the Month of January we saw a 409.82% Growth over 2017 Sales and a 32% in Shipping related profits due to the Decrease in Shipping Costs. A turnkey solution for international shipping. Showing my customers all costs, duties, and automatically printing customs forms is a real timesaver. Easyship helps our store quickly ship all around the world. Great software with no monthly cost, making it more appealing than the other options! One of the easiest Shopify apps I've used. Love it, and highly suggest it if you are looking for an easy shipping tool! I ship large, light product boxes. Multiple orders need to ship separately. Easyship understands this, and has helped me save big on shipping! Great product, rates, and customer service overall. Finally, I've found a dependable solution for International shipping. I launch Shopify stores. Easyship makes shipping simpler for my clients. I highly recommend it if you want multiple shipping options for customers.